Security around federal court in Boston continues to increase as we inch closer to seating a jury and formally starting the marathon bombing trial. Police cars are now strategically parked around the courthouse so vehicles driving along Seaport Boulevard must navigate slowing winding around them. It's an effort to prevent anyone from driving any sort of device quickly up to the building - a sometimes unsettling reality in a high profile trial like this one. Upstairs in courtroom 9, jury selection entered its 14th day with 13 more jurors undergoing voir dire, or individual questioning by the judge and attorneys. 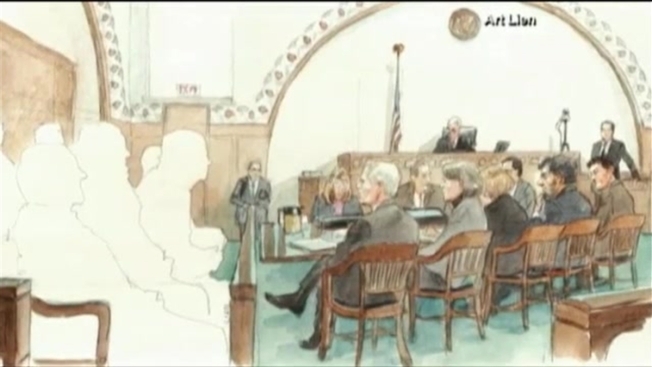 The jurors' vast ties to the marathon bombing continue to be apparent. One woman was a dispatcher at Northeastern who was monitoring emergency channels in Boston and surrounding communities as police searched for suspect Dzhokhar Tsarnaev during the manhunt. Another woman had two friends so close to the finish line bombing that one of them had his ear torn off by shrapnel. And yet another juror had a husband, son and brother in law enforcement. She also knew an officer on the witness list. No jurors have been eliminated on the record since voir dire began, and no jurors have been seated yet. Jury selection resumes Friday morning.